Athletes know that inclement weather is no excuse to skip a day of training. 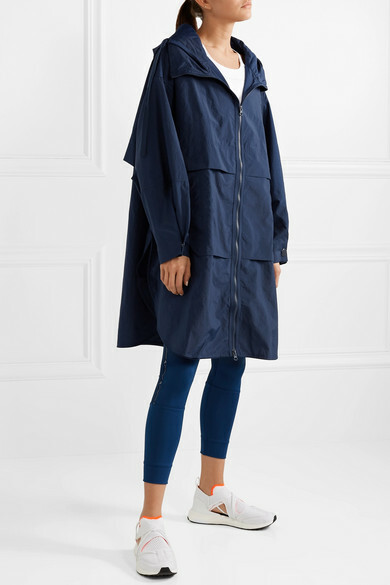 That's where adidas by Stella McCartney's parka comes in. 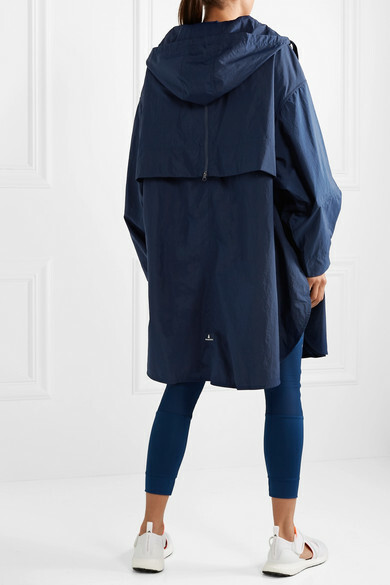 It's cut for an oversized fit from water-repellent shell and has a drawstring hood in case you get caught in a sudden downpour on the way to the gym. 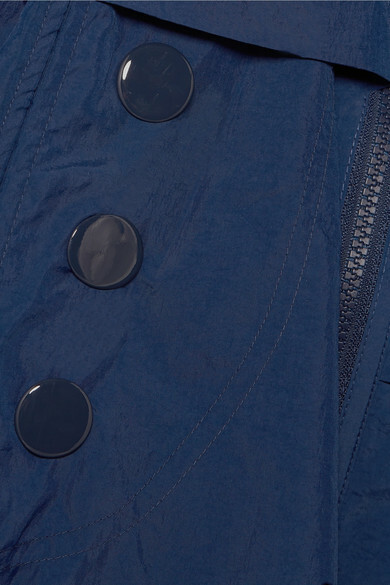 Undo a few of the side snaps for more ventilation. 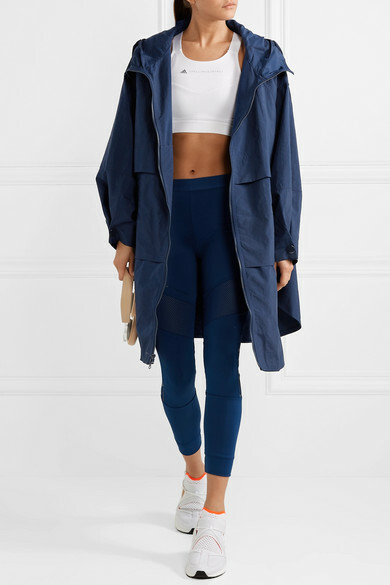 Shown here with: adidas by Stella McCartney Sports bra, adidas by Stella McCartney Leggings, adidas by Stella McCartney Sneakers, Bang & Olufsen Headphones.